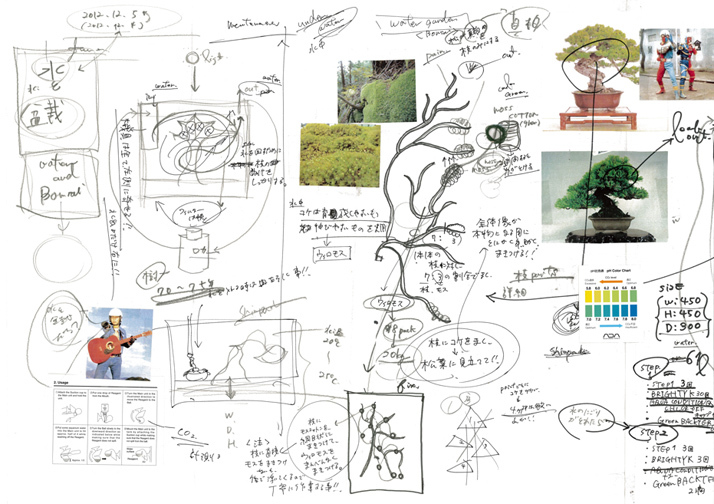 Makoto Azuma takes Bonsai to another, higher level. 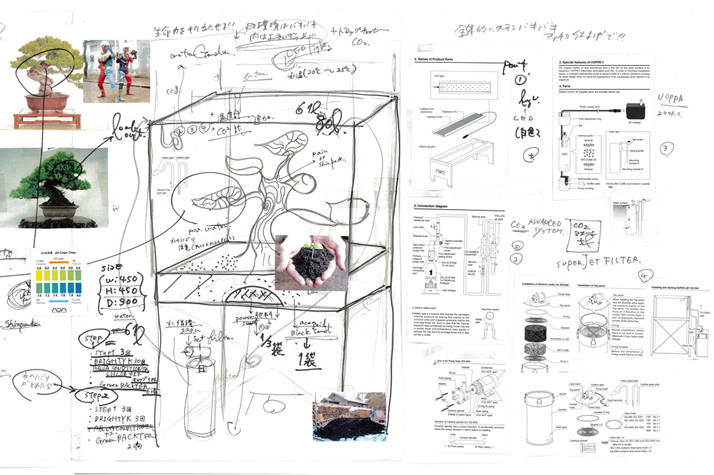 Makoto Azuma has conceived and created an installation which allows a bonsai tree to draw its nutrition from water. 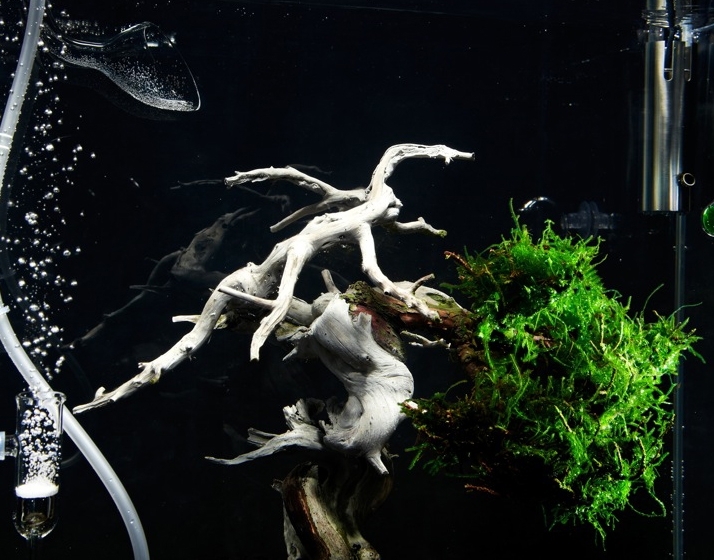 A beautifully curved deadwood of Sabina chinesis is attached to java moss resembling leaves. 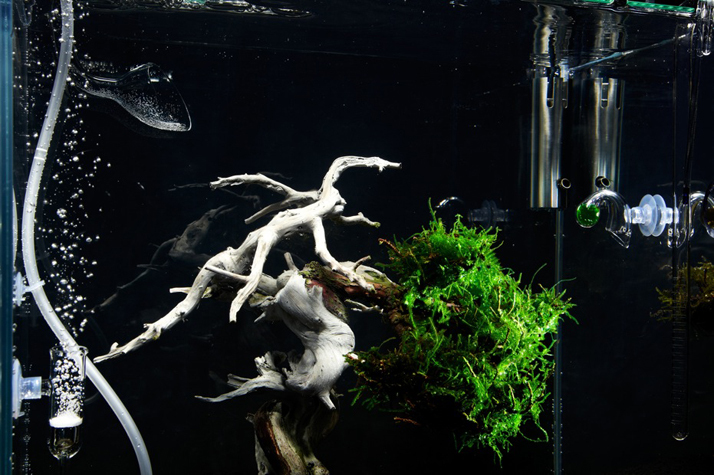 Different trunk and leaves are combined to form Bonsai, which now rests in a new environment with water. 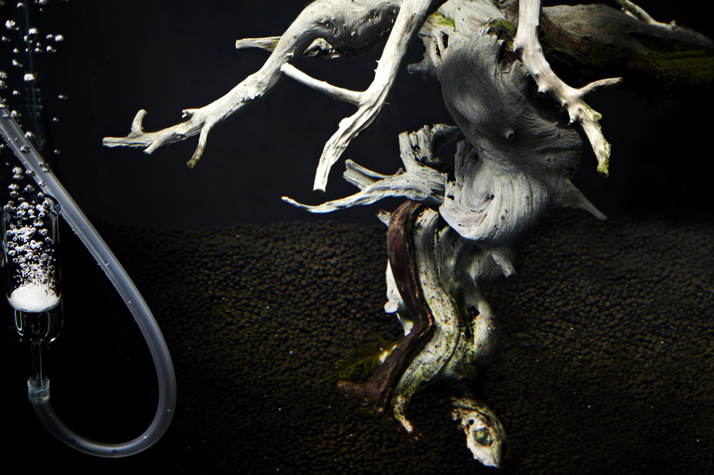 Within a fully glazed aquarium eliminated any excrescences, we catch a glimpse of Bonsai in its true light, from its foliage, nervure to breath. 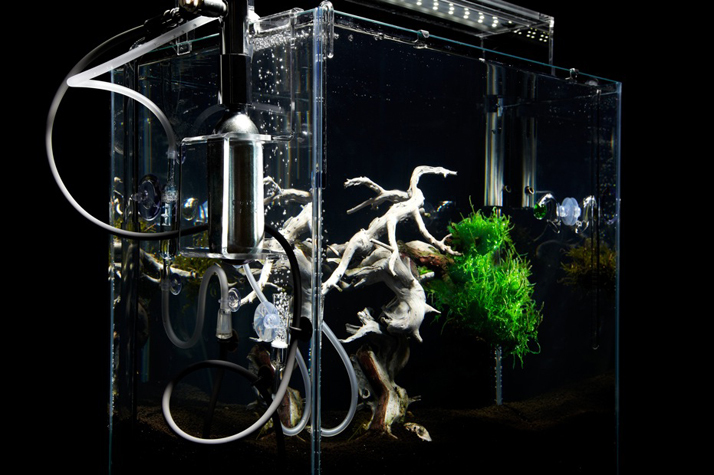 The aquarium’s internal environment follows a natural cycle, by stimulating photosynthesis with LED lights and CO2 emissions, which are reversed day and night. 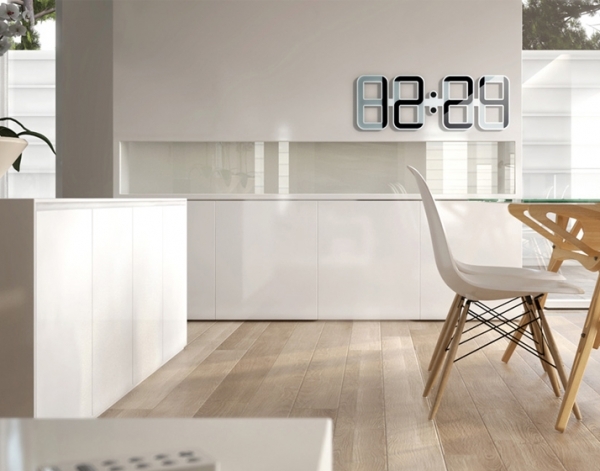 A filtration system runs constantly to keep clean water. 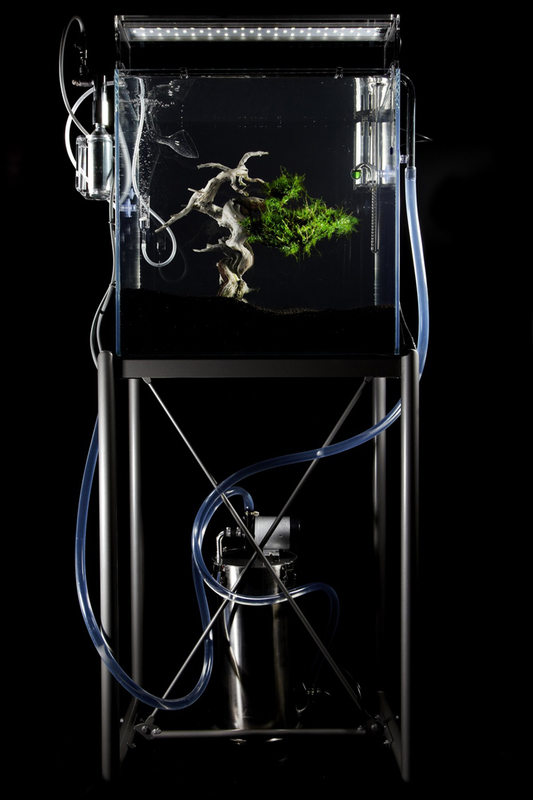 Bonsai transforms its shape through ages, now finds a life in water and continues to be alive. 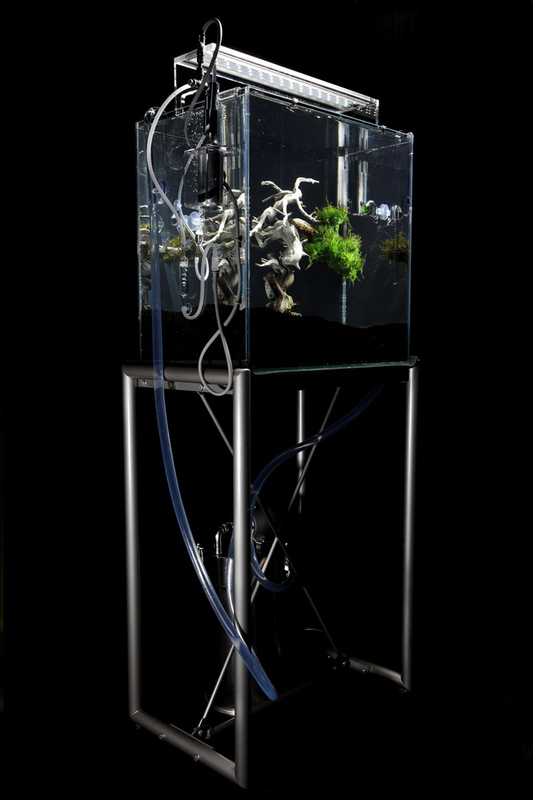 We can, continuously, admire its new appearance with plants from land and water within clear water.